JAKARTA, 18 February 2017 – Jakarta has a new award on courage in journalism in honor of the West Papuan editor, Oktovianus Pogau, who passed away last year. 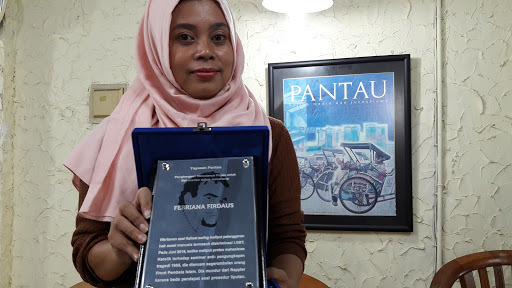 It was awarded for the first time to reporter Febriana Firdaus, who had extensively covered human rights abuses in Indonesia, the Pantau Foundation said. “We want to honor our colleague, Oktovianus Pogau, a smart and courageous journalist, who edited Suara Papua news and highlighted human rights reporting. He passed away at a very young age, just 23 years old. We want to honor his legacy by establishing this Oktovianus Pogau award,” said Imam Shofwan, the chairman of the Pantau Foundation, in a speech to a small gathering at his office on February 13. The Pantau Foundation selected Febriana Firdaus, a Jakarta journalist, to receive the inaugural award. Firdaus covered Indonesia’s efforts to deal with the 1965-1966 massacres, disappearances and arbitrary detentions. She also covered discrimination, intimidations, and violence against the LGBT community in Indonesia. “LGBT is a very sensitive subject in Indonesia where many religious communities, including Muslim organizations, still consider homosexuality a psychological disorder. Febriana Firdaus is courageous to stand up for LGBT, to affirm that LGBT is nature, and to expose their side of the story,” said Shofwan. Firdaus was born in 1983 in Kalisat, a small town in eastern Java, and graduated from Airlangga University in Surabaya in 2007. She worked for Jawa Pos daily, Tempo magazine and Rappler online. She is currently a freelance journalist. Atmakusumah Astraatmadja, a former chairman of Indonesia’s Press Council and himself an award-winning journalist, presented the award to Firdaus that evening, welcoming the launch of the award and congratulating Firdaus. Allan Nairn, another award-winning journalist based in New York, gave a speech, talking about courage in journalism in the Trump’s “proto fascism era.” Nairn spoke about the challenges the press faced in covering a president like Donald Trump, who lies constantly but is also hugely entertaining. Nairn noted that the United States provides a warning to Indonesia because the same proto-fascists that rose to power in the United States are also trying to achieve power in Indonesia, though it isn’t clear yet whether or not they will suceed. Oktovianus Pogau was born in Sugapa in the Central Highlands on August 5, 1992 and died on January 31, 2016 in Jayapura. 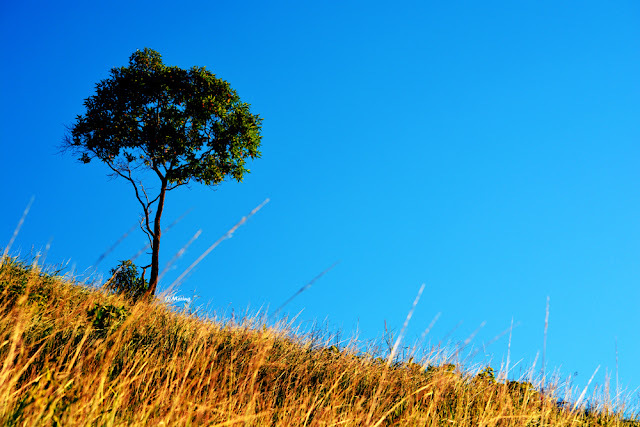 In October 2011, he covered a peaceful gathering of thousands of Papuan men and women in Jayapura, discussing their political aspiration to be independent from Indonesia. Indonesian police used excessive force to disperse them. They fired warning shots, beating and kicking those ethnic Papuans. Three men died of gunshot wounds, around 600 were detained and five of their leaders were tried and sentenced to three years imprisonment. Pogau was upset when seeing that most Indonesian media did not proportionally cover the abuses. He decided to set up Suara Papua (Papuan Voice) on December 10, 2011, exactly on the international human rights day, to cover rights abuses in West Papua. He made Suara Papua to be a platform for young Papuant to report and to write their stories. Pogau also engaged his audience with his sharp political analysis. He used his knowledge and network to advocate for civil, political, economic, social and cultural rights for ethnic Papuans. He was also sympathetic to the National Committee of West Papua, a large Papuan youth organization, which is campaigning for a referendum in West Papua. In October 2012, when he was covering one of their rallies in Manokwari, he was beaten on a street corner. Several police officers stopped him from taking photos. He suffered bruises and complained. The West Papua police later apologized but his union, Indonesia’s Alliance of Independent Journalists, refused to help him, arguing that Pogau was also an activist and declaring him of crossing the line between journalism and activism. Pogau wrote extensively about the restriction for foreign journalists to visit West Papua. He protested against the discriminations against ethnic Papuan journalists and the intensive use of journalists, both Indonesian and Papuans, to be military and police informers. He indirectly made President Joko Widodo in May 2015 to declare the Indonesian bureaucracy to stop restrictions on foreign journalists covering the West Papua. Unfortunately, Jokowi command has not been fulfilled completely. He travelled to the United States in December 2015, writing about African Americans dealing with violence and contemplating about the similar among dark-skin curly-hair Papuans. The jurors of the award include Alexander Mering (Kampong Journalism Movement in Pontianak, Kalimantan), Andreas Harsono (researcher at Human Rights Watch in Jakarta, Java), Coen Husain Pontoh (chief editor at Indo Progress news portal in New York), Made Ali (environmentalist at Jikalahari in Pekanbaru, Sumatra), Yuliana Lantipo (editor at Jubi daily in Jayapura, West Papua). The mandate of this award is to exclude financial gift nor a generous ceremony, hoping that it will be sustainable and making the jurors to concentrate only in selecting a winner. It is to be announced every year on January 31. When presenting the award, Imam Shofwan talked about his personal experience with Pogau, "Once he called me on my mobile and I heard gunshots on the backgrounds. I told him to run but he keep on talking, asking me to tweet. He continuously tried to bring out rights abuses in Papua. He died young but his courage should inspire other journalists."